Batley Bulldogs overcame a brave effort by the Heavy Woollen Select amateurs to run out 68-6 winners at Fox’s Biscuits Stadium on Sunday. Heavy Wollen stunned Batley by taking a third minute lead through a George Croisdale try and Joel Gibson conversion. Batley battled back to lead 24-6 at half-time thanks to tries from Adam Gledhill, trialist Jordan Anderson, Alistair Leak and Jordan Grayston, all converted by Cain Southernwood. The Bulldogs ran in a further eight unanswered tries after the break to complete a comfortable win. 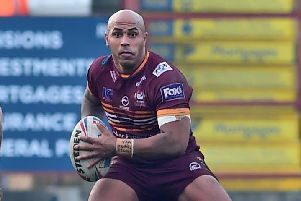 Johnny Campbell, Lee Mitchell and wayne Reittie bagged a brace of tries apiece, while Ayden Faal and Shaun Squires also crossed in a clinical second half display. Southernwood added four conversions after the break, with Scott Leatherbarrow landing two goals.